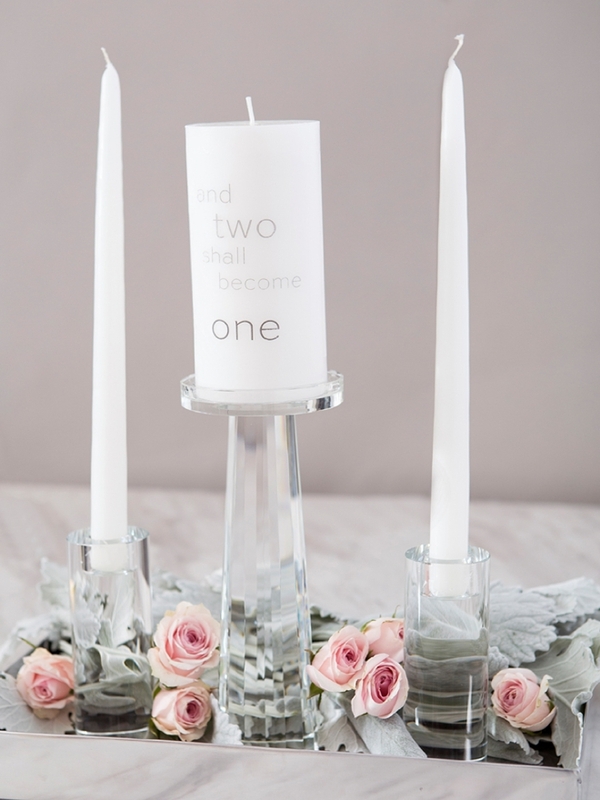 3 Killer Ways To Personalize Plain Pillar Candles For Your Wedding! Candles are synonymous with romance and there is nothing quite like the light that they give off, especially at a wedding reception. So today we’ve partnered with Jamali Garden, a leader in trendy, high-quality decor that won’t break your budget, to bring you this DIY feature. 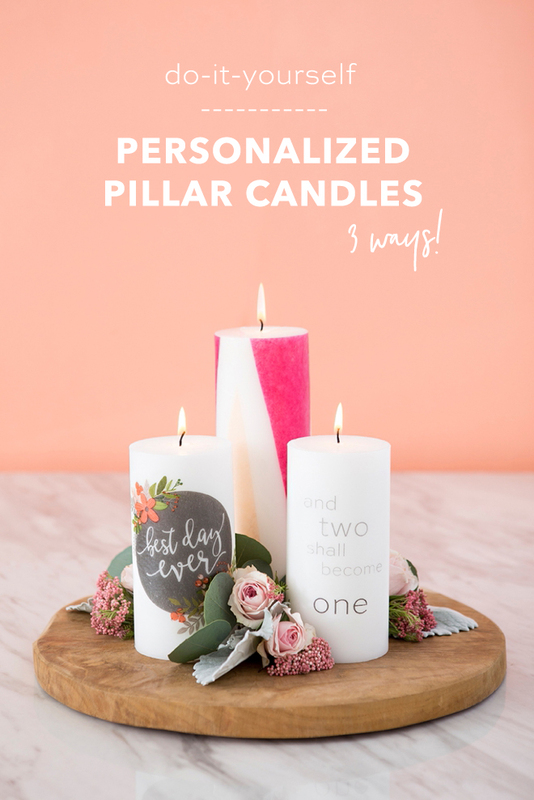 Here I’m sharing 3 ways that you can personalize inexpensive white pillar candles with napkins, printed designs, and tissue paper. Yes, you read that right… and it’s SO good! 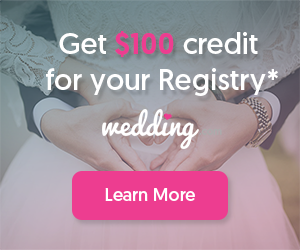 If you’ve never tried this melting technique before, even if you don’t plan on making this project for your wedding, you still have to try it because it’s shocking how easy and cool it is. 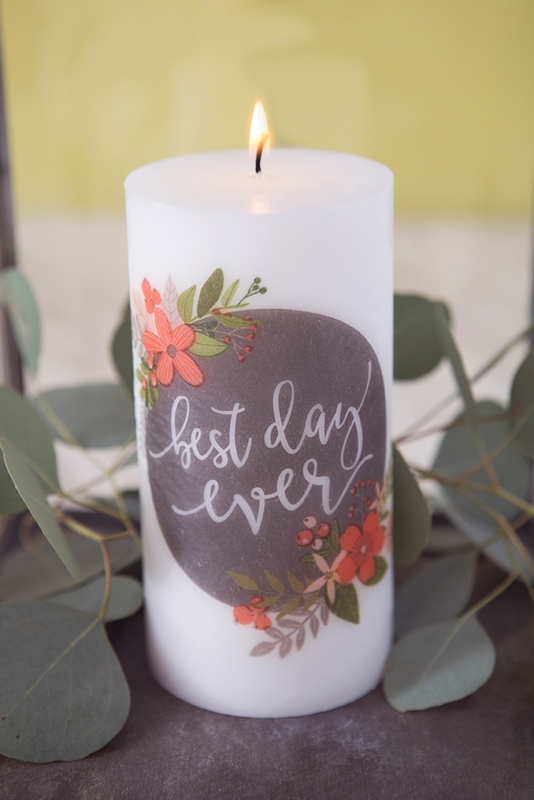 You can totally personalize candles for gifts or home decor using the same ideas below! When you’re considering using candles, especially large pillar candles in your centerpieces or wedding decor – it can add up quickly. Which is why you have to check out Jamali Garden and all the decor elements they offer. 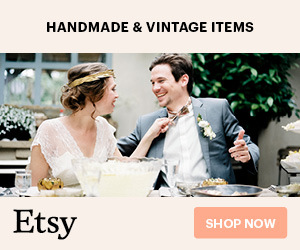 Not only are their candles super high quality, but they are very reasonably priced and so are the rest of their decor items! 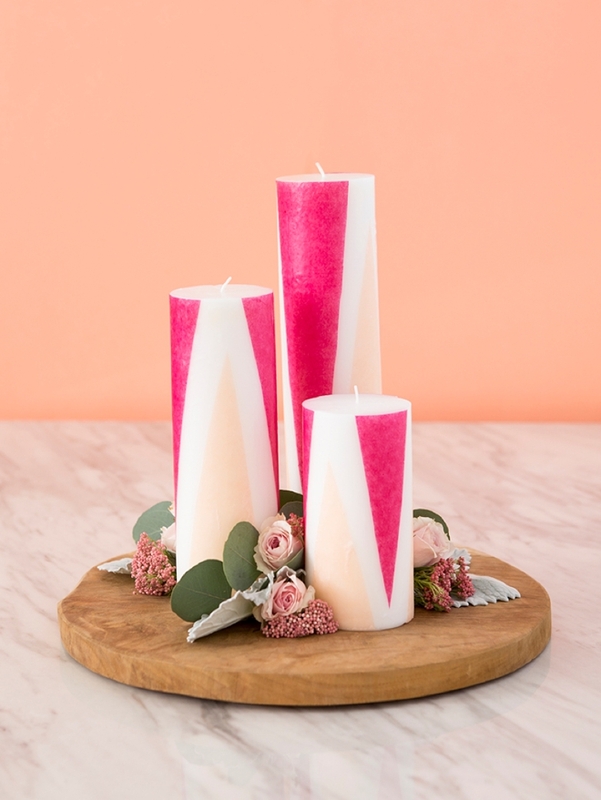 For this candle embellishment technique we’re going to melt super cute napkin designs onto the candle! Carefully cut out the cute design, any napkin design will do! 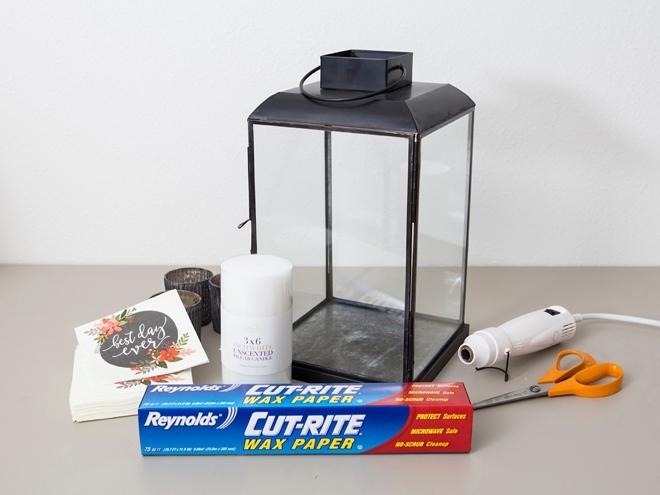 Place candle in a lantern for a pretty DIY centerpiece! SO cool right!?! When you heat the candle, it melts that first layer of wax and the wax actually absorbs through the napkin, securing it to the candle! 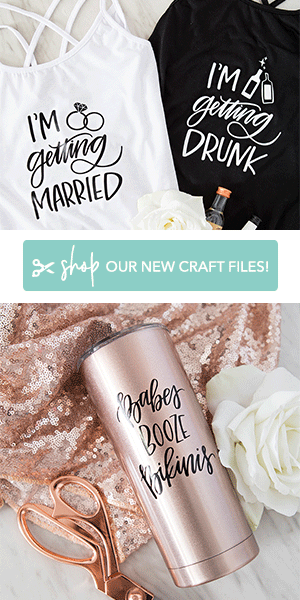 Our free printable design at the end of the post! OMG, this technique is awesome and limitless. 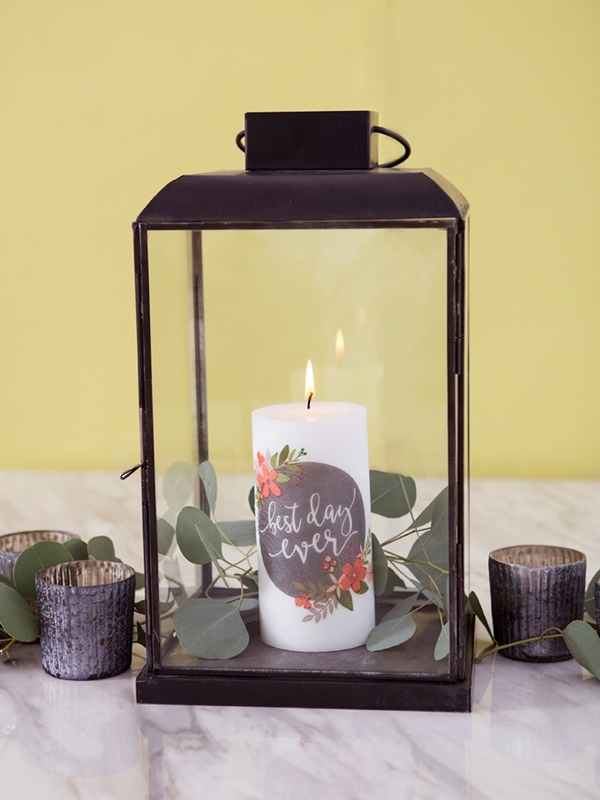 Just know that you can create or use ANY printed design to embellish candles like this, or even design your own Unity Set! 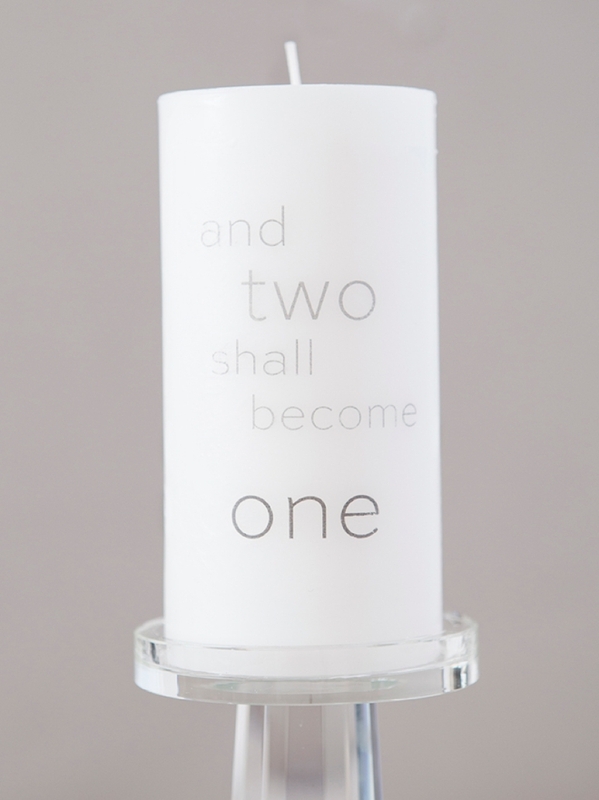 Create your own unity candle design or download our free design at the end of the post! 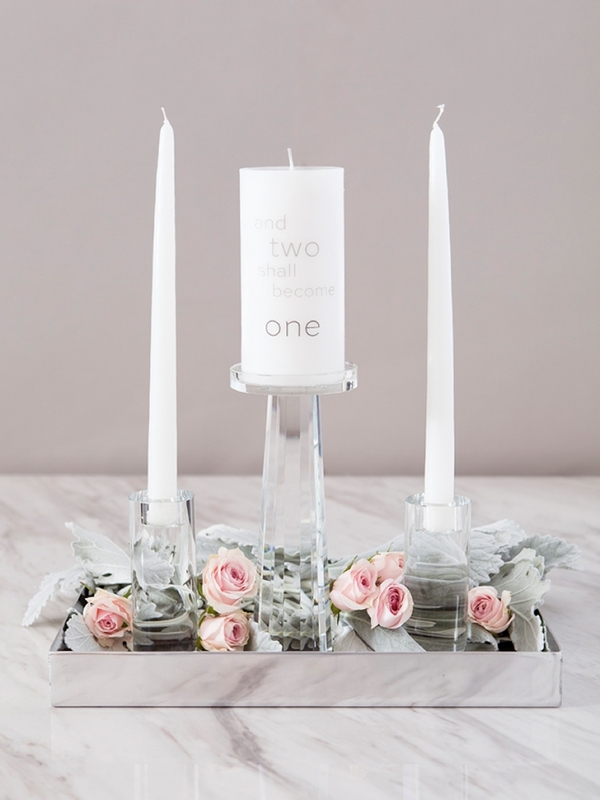 Add two taper candles for the perfect unity ceremony! 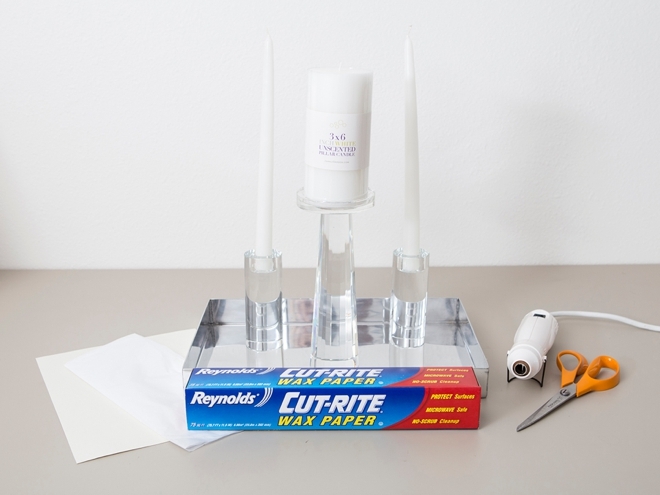 This technique works best on white candles with white tissue paper! 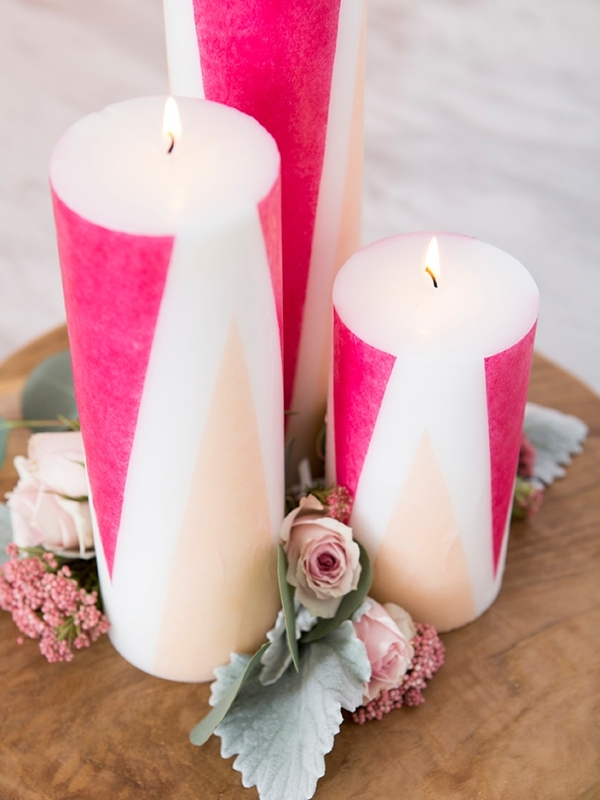 This third technique is a terrific cost effective way to have lots of candles at your wedding, that are colored! These candles are high quality and super inexpensive and so is tissue paper. 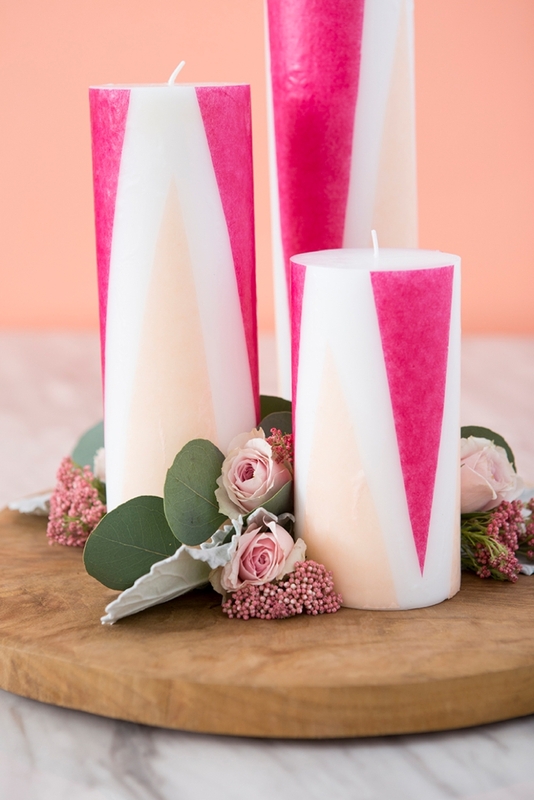 Cut out any design you can imagine and melt onto each candle! 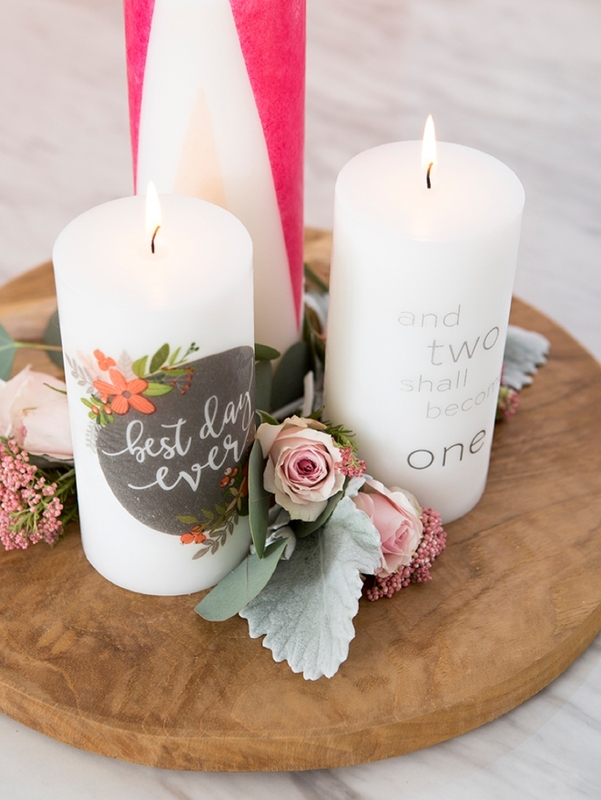 Place three candles together on a teak wood board with a few flowers for the perfect DIY centerpiece! 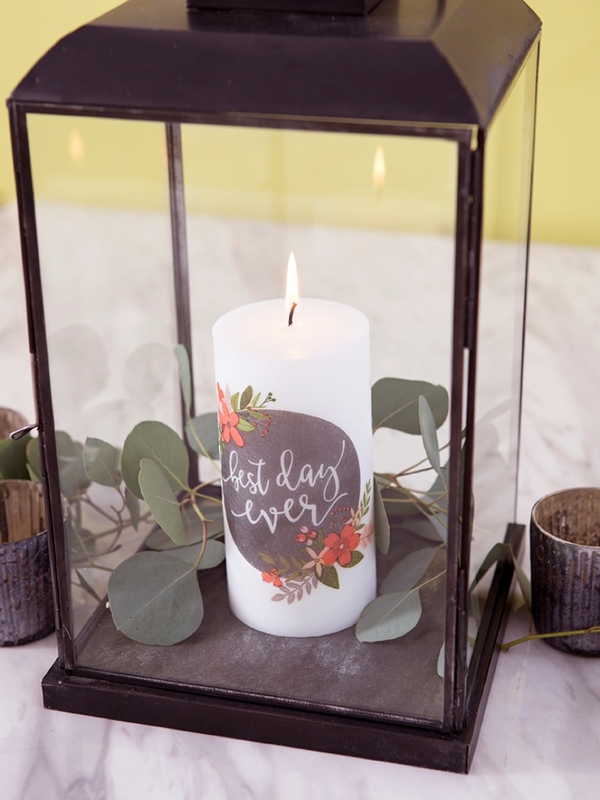 The best way to keep your tissue embellished candles safe to burn is to “pre-burn” them before your event. 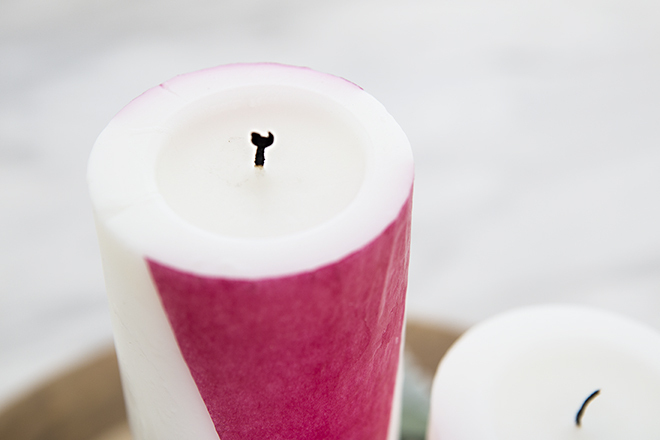 Let the candle burn until the melted wax ring is about 3/8″ from the edge of the candle, then blow it out. From now on, every time you burn that candle, it will only burn inside that circle – meaning it will never touch the paper on the outside! Jamali Garden is a family-owned, wholesale source for florists, wedding and event planners, stylists, decorators, and set designers, for exclusive decor, floral, home, holiday, lighting, and garden products. Jamali’s mission is to bring customers unique products that would inspire them to create beautiful events. Influenced by having lived all over the world, our high design and well-curated selection of decor products comes from every corner of the globe.